Summer is finally here again even though you wouldn't think it judging by the weather in Scotland. For Summer, I enjoy fruity, citrus type fragrances that are fresh and put you in the mood for the beach and some ice-cream. Scents have the power to put you in mind of certain times or events in your life. 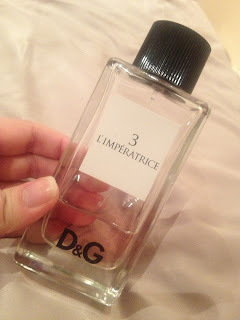 For me, D&G L'Imperatrice definitely reminds me of Summer 2012 in Vegas, chilling by the pool with a fruity cocktail and driving to California and along Pacific Coast Highway.